Southern Champion is committed to a sustainable future for our families, our communities, and our customers. From beginning to end, paperboard packaging is among the most environmentally friendly resources. Recycling: We recycle approximately 95% of our total waste as a company. Energy: Highly efficient lighting reduces energy use an estimated 40 gallons of oil per year. Solar: Since 2012, our solar panels generate enough energy to power 50 homes. As a result, our packaging is produced by natural power via solar and hydro power. Conservation: Through water recycling on our lithographic printing press we reduce our water usage by over 1,000 gallons annually. Logistics: Case and pallet cubes optimized for shipping efficiency, our private trucking fleet is 100% equipped with EPA Smart Way-approved equipment, and all shipments are planned for maximum efficiency, all of which reduces fuel usage. 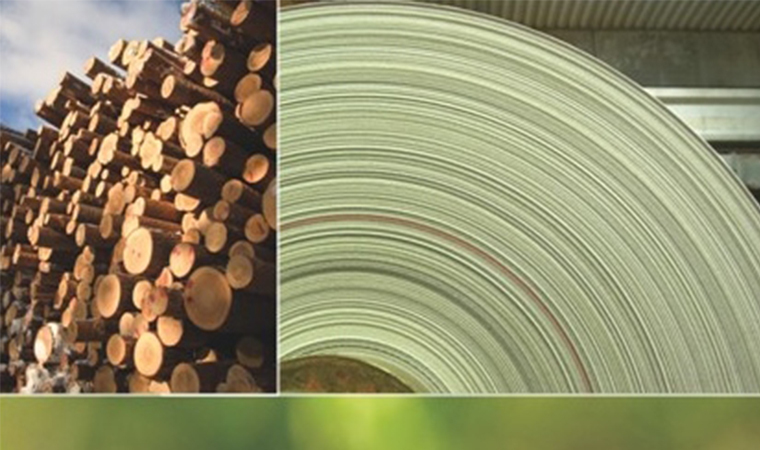 The Sustainable Forestry Initiative® (SFI®) label is a symbol you are buying wood and paper products from a responsible source, backed by a rigorous, third-party certification audit, for chain of custody authenticity. *SCT’s Mansfield plant is SFI certified. The American Institute of Baking is a globally recognized food safety certification, with audits backed by over 60 years of experience in food safety. With an AIB certificaiton, SCT has proven to meet industry best practices and strict regulatory requirements, including FDA guidelines. At Southern Champion Tray, we are committed to quality and safety so that each customer can be assured they are receiving the highest quality product. *SCT’s Chattanooga plant is AIB certified. While all of our paperboard is environmentally-friendly, Kraft kicks sustainability up a notch, with at least 18 % recycled wood fiber content and a totally chlorine-free manufacturing process. Southern Champion has created an entire line of bakery and foodservice products made from Kraft paperboard, click the link below to see our Naturally Kraft product line. View our Naturally Kraft flyer here.